Colorado Springs Criminal Defense PROTECTING YOUR RIGHTS. 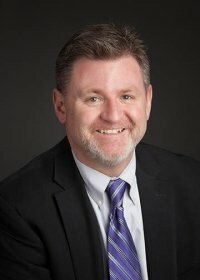 Before practicing as a criminal defense attorney, Mr. Heim gained years of experience in trial law working as a deputy district attorney for the District Attorney Offices of Arapahoe, Douglas, El Paso, and Teller Counties. For the DA Offices of Teller and El Paso County, he worked as the Senior Deputy District Attorney, specializing in high-profile homicide cases and crimes against children, all-the-while managing a team of attorneys, investigators, and paralegals. Click below to learn more. Have you been arrested or charged with a crime in Colorado Springs? My name is Attorney Geoff Heim, and I am well-qualified to handle your case. I have more than 20 years of experience handling complex criminal defense cases at the city, county, and state level. Having spent the first years of my legal career as a Deputy District Attorney, I am equipped to present cases in court. With experience as a former prosecutor, I have an in-depth knowledge of the legal system & criminal process in Colorado. Unlike other firms in Colorado Springs that would rush your case to completion, I will take whatever time is necessary to secure the best possible resolution available to your case. Whether you have been charged with a misdemeanor or a felony, I am qualified to take on your case. while fiercely protecting their rights. When it comes to DUI defense, I have an exceptional record of success with first-time DUI, multiple DUI offenses, underage DUI, and DMV Hearings. I am certified to administer the breathalyzer test, which gives me unique insight into how to defend against incorrect police procedure.  If you retain the services of my firm, you will be choosing a top-rated DUI defense lawyer in Colorado Springs who is qualified to teach other lawyers and law enforcement professionals about criminal procedure & evidence. You only have 1 week to request a DMV hearing, which is the first step in the DUI defense process, so don't hesitate to call my firm. In addition to providing defense against various criminal charges, I also help with record sealing. I understand that a conviction can limit your access to a wide variety of financial opportunities, including employment. If you have a crime on record, I can help you obtain an expungement so you can resume any activities essential to making progress as a law-abiding citizen. Don't Wait to Act! Set up a FREE Consultation. If you are facing criminal charges in Colorado Springs, contact my office today so we can discuss your case. As your defense lawyer, I will take the time to get to know you, understand your charges, and develop a personalized strategy for handling your case. I value and respect each of my clients, and am prepared to protect your rights and defend your freedoms.